By all accounts, Cyril, and his younger brother Vyvyan, who arrived eighteen-months later, were lovely, boisterous lads who enjoyed more freedom than many of their Victorian contemporaries. Eyewitness accounts confirm that their parents were indulgent and very fond of them. Both boys adored their father, who was kind-hearted and playful and perfectly happy to join in with nursery games, even if they involved getting down on all fours in order to play the part of a bear, a lion, a horse or whatever was required of him. He once spent an entire afternoon repairing a beloved wooden fort. Boisterous games often spilled out into the beautiful dining-room of their Tite Street home, where all three would dodge between the legs of the spindly white chairs before tumbling together in a tangle on the floor. When they grew tired, Oscar would tell them the most wonderful stories. Son of Oscar Wilde by Vyvyan Holland is a remarkable account of a fractured childhood, and gives unparalleled insights into a life that is perhaps more speculated about than any other. It contains a warm account of the time he and his brother had with their father, which lends added poignancy to the tragedy that they never saw him again after 1895. 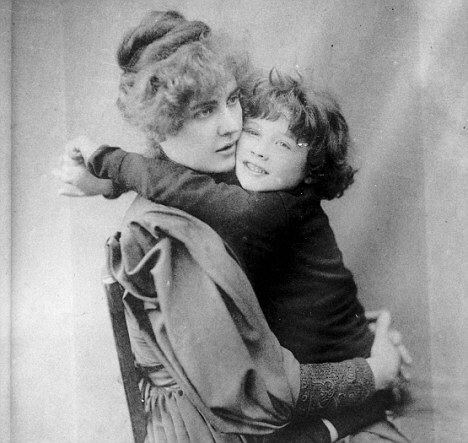 Wilde’s Women also contains an account of Cyril’s life. Cyril died young and his tragic final years are described here.